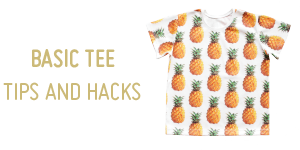 Home / Tips and Hacks / Basics Collection Tips and Hacks / Do I need the original Basics or the Baby Basics? Not sure which size range you need? Here, let me see if I can help. The original Basics Collection size range is from Size 1 – Size 10. 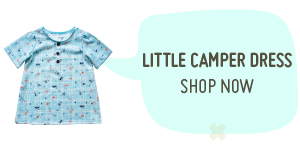 The Baby Basics size range is Newborn to 24 months (size 2), meaning there is an overlap in three sizes: Size 1/12 months, Size 18 months and Size 2/24 months. It might be helpful to get an idea of why and how the two patterns were designed to help you decide which size range you need. The patterns were drafted separately and with different intentions. 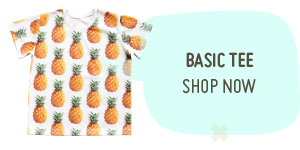 The original Basics Collection was designed to provide the most use and wear for a large range of sizes. It has 3 finishing options and 3 different lengths. The smaller sizes will over nappies, but it was never a pattern designed specifically for babies. It was designed with toddlers, children and early tweens in mind and has features specifically to cater for their growth and development. 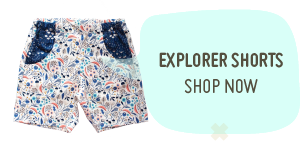 Short shorts for active playing, Bermuda Shorts for those kiddos who prefer longer shorts, and Long Pants for those cooler climates, to name just a few uses and reasons. It has three finishing options, including a basic, quick sew two piece pattern, exposed pockets and hidden inseam pockets. It aims to let the user, you, create the best pants for your little person depending on their stage of development, needs and likes. 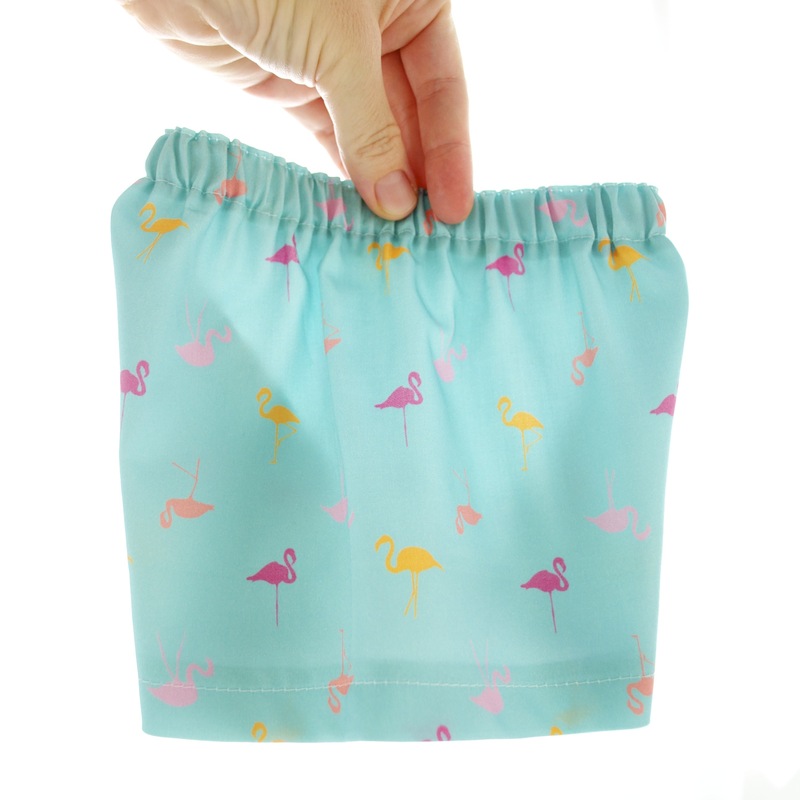 Perhaps you have a little bower bird who needs pockets to collect their treasures. 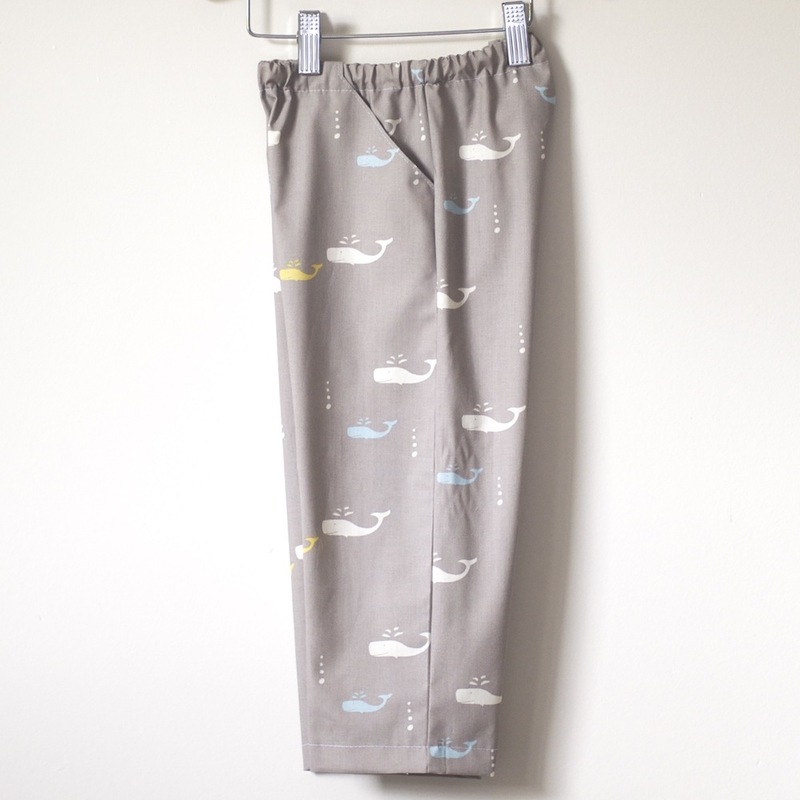 Maybe you need some warm trackies for your kiddo in winter, preferably with pockets for hankies/tissues for runny noses. 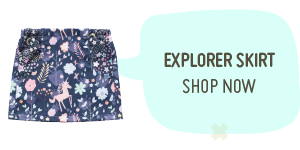 Maybe you need a dressier, but still comfy, pair of slacks for Easter lunch. The Basics Collection is meant to be just that, a basic pattern that lets you and your creativity, your needs and your taste dictate the end result. 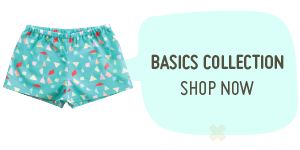 The Baby Basics have the same end goal as the original Basics Collection, but have been designed specifically for babies. 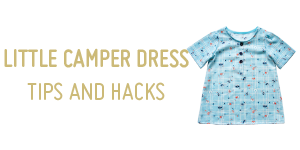 They are intended as a basic pattern to help you create wardrobe staples for your little ones and allow you plenty of freedom to embellish or add to the pattern to suit your style, skill set and taste. 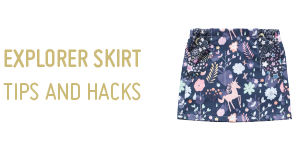 Add bows, trims, pom poms, contrasting fabrics, use up scraps or smaller pieces in your stash, turn them into bloomers or harem pants, make them trackies or pyjamas. You’ll notice that the exposed pocket is much smaller on the Baby Basics. That is intentional and the exposed pocket is more a design element than a practical, useable feature, as babies… well, they just don’t need pockets! There is also not an inseam pocket option on the Baby Basics, again, because babies don’t need or use inseam pockets. The thing that I love most about the Baby Basics, is that it features a low rise and a high rise finish. As a cloth nappy (diaper) family, I found it incredibly frustrating to always have to dress my kidlets in pants that were a size too big, just to fit over their fluffy cloth butts. It meant that pants were too long and baggy and often made them uncomfortable or frustrated when their feet or knees would get caught. The original Basics Collection has a large size range, 11 sizes from Size 1 to Size 10, will fit over disposable nappies and has a total of 9 finishing options. The Baby Basics have 7 sizes from Newborn to 24 months and 6 finishing options – two styles, three lengths – and is designed to fit over disposable or cloth nappies.